I found something fun and happy in my house. It is my cactus! 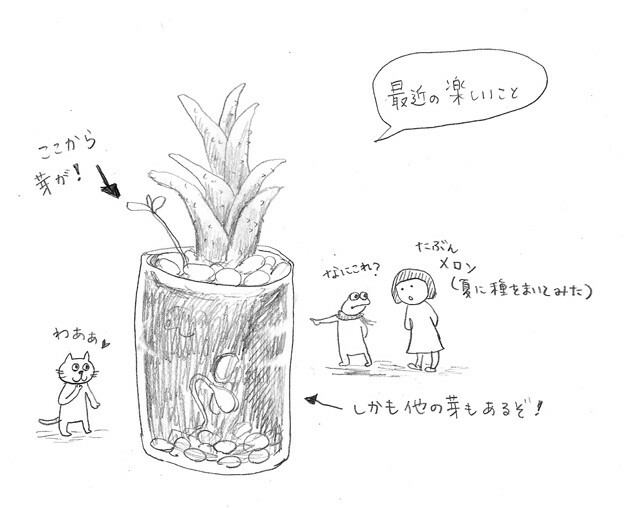 The cactus has some sprout and there are other sprout in the dirt! since the pot is glass, I can see them through. Interesting! Yuki : probably the water melon seed that I put last summer.